TripleClicks TCredits are ESSENTIAL for taking full advantage of the services available to Zing Network members. You can use your TCredits to bid on Astro Auctions, play Eager Zebra games, make purchases, and more. CLICK HERE FOR ALL THE GREAT WAYS TO USE YOUR TCREDITS NOTE: You can use your TCredits as you wish and at any time, but they do expire one year from purchase. 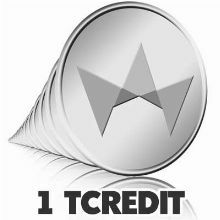 You can choose from among seven different "TCredit Packs": * A single credit is just $1.99. 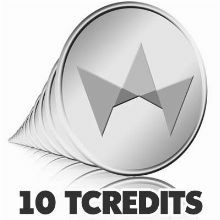 * Buy a 10-Pack of TCredits (as low as 56 cents each). * Buy a 20-Pack of TCredits (as low as 46 cents each). * Buy a 50-Pack of TCredits (as low as 39 cents each). * Buy a 100-Pack of TCredits (as low as 29 cents each). * Buy a 125-Pack of TCredits (as low as 29 cents each). * Buy a 200-Pack of TCredits (as low as 29 cents each). YES, I'd like to pay just $19.09 now and set up this item for automatic monthly delivery. No obligation. Cancel anytime. TripleClicks TCredits are ESSENTIAL for taking full advantage of the services available to Zing Network members. You can use your TCredits to bid on Astro Auctions, play Eager Zebra games, make purchases, and more.